Here’s a quick tutorial on how to add WooBoard to the home screen of your smartphone. Once you are on your WooBoard home page, tap the ‘SHARE’ button at the bottom of the Safari screen. Start Wooing from your mobile! Start by opening the page in your browser. 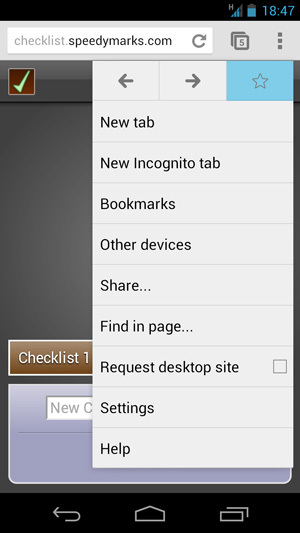 It is recommended to use the default Android Browser, or Google Chrome if possible. Once you are on your WooBoard home page, hit the menu button (3x vertical dots icon in the top right), and add the page to your bookmarks. (In Chrome, just tap on the star and follow the prompts). 5. Open you bookmarks using the menu button, and find the new bookmark you’ve just added. 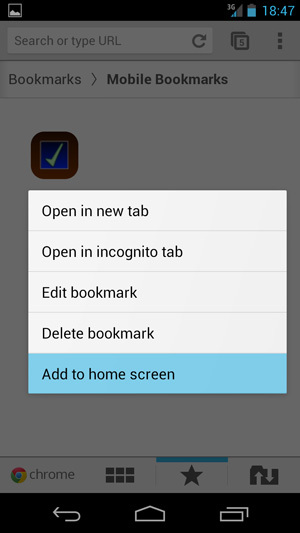 Press down and hold on the bookmark until you see an action menu. Select Add to homescreen. 6. Done! You can now send a Woo with Android! Align values, engage and motivate with WooBoard; an employee recognition platform that encourages happier, more productive workplaces.